On St. John’s Eve, The Military Barracks Castlebar will host an inclusive family-friendly festival of creativity, culture and fun with a wide range of food and entertainment and a bonfire! Castlebar’s newest, quirkiest festival on June 23, Crinniú at the Barracks, will be an intriguing mix of creativity, culture and heritage that will have something for everyone. The old military barracks will be alive with colour and sound as the grounds are taken over by music, exhibitions, workshops, digital media, demonstrations and talks. Highlights will include robotics, drones, military displays, exhibitions of the barracks past and future and an obstacle course. There will be a unique opportunity to see inside one of the buildings and learn its history. The Big Red Barn will be on site to host music, a ceilí mór and jiving demonstrations. Mayo Artsquad, creative artists and makers will be offering a wide range of workshops for all ages to see, try or do something new: from fabric painting to making whirligigs and crafting all kinds of objects from recycled materials. A collaborative Creative Wall will offer everyone a chance to express themselves. Traditional crafts such as blacksmithing and butter-making, a pet farm, a picnic area, a variety of food stalls and tours of the barracks will also be on offer. Austin Vaughan, Creative Ireland Coordinator for Mayo said at the launch: “Crinniú at the Barracks will be a family-friendly festival of creativity, culture and fun. 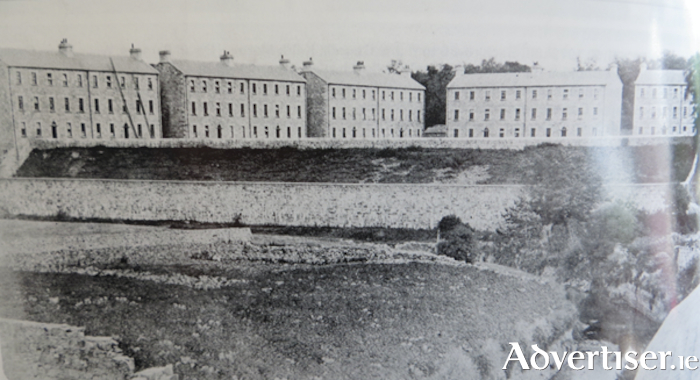 The Military Barracks in Castlebar will host our inclusive festival featuring a mélange of music, history, exhibitions, photos, stories and living memory, robotics and creativity"